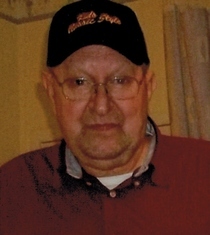 Terry L Hall, 67, of Linton, Indiana, passed away on Tuesday, January 26, 2016, at his home in Linton. He was born on July 3, 1948, in Linton, Indiana, the son of Maurice J Hall and Ruby Jones Hall. Terry was a member of the Linton American Legion Post #22 and the Linton Elk #866. He retired from Bemis and was a Vietnam Veteran. He was preceded in death by his parents, his first wife Mary Jane McElarvy Hall in 2005, his second wife Lisa M Elliott Hall in 2013, and one brother Chuck Hall. Survivors include two sons, Michael Hall of Newton, IL, and Aaron Hall (Robin) of Kechi, KS, two step-daughters, Valerie Pigg (Terry) of Linton, and Ricki Miller of Terre Haute, three grandchildren, Hailey Hall, Tera Pigg, and Tytus Pigg. Funeral services will be at 11:00 AM, Saturday, January 30, 2016 at Newkirk’s Funeral Home with Pastor Warren Shake officiating. Interment will follow in Hickory Cemetery located in Sullivan, Indiana, with military graveside rites by the Linton American Legion Post #22. Friends may call from 5:00 PM until 8:00 PM on Friday, January 29, 2016, at Newkirk’s Funeral Home.